Rare photos show hidden life of partisans who fought Nazis – J.
Faye Schulman always carried two things with her in the forests of Poland. A medical kit to care for her fellow partisans, and a camera. When she wasn’t tending to others’ wounds, she would set up her Doppel Anastigmat on a tripod and capture life in the woods. Click: Faye, in profile, wearing a leopard-print fur coat and pointing a rifle. Click: Faye with her partisan group, the only woman in a cluster of men. Click: Faye cleaning the wounds of a partisan who lay on a makeshift operating table, made from thick tree branches. These scenes are among the 33 black and white photographs on display through March 25 at Berkeley Hillel. “Pictures of Resistance: The Photography of Jewish Partisan Faye Schulman” is presented by the S.F.-based Jewish Partisans Educational Foundation. Schulman is the only known Jewish partisan photographer to capture life in the forest, Braff said. Most photographs of World War II resistance fighters were taken after liberation. Schulman is now 89 years old. But in the 65-year-old black and white photos, she is radiant, her round face and high cheekbones a striking mug indeed. She is young and optimistic, her smile sincere. Posing for the camera, she has a twinkle in her eye. One wonders how she stayed so upbeat in the throes of war. “I would never complain, because that would mean I wasn’t a good partisan. So I always had to have a smile,” she said during a recent phone interview from her home in Toronto. The story behind the photos is as remarkable as the images themselves. Born in 1925 in Lenin, Poland, Schulman grew up in a small town in what is now Belarus. In 1939, Russia and Germany divided Poland, and Lenin fell under Russian jurisdiction. Schulman’s brother, a photographer, taught her how to take pictures, process negatives and develop prints. She worked as his assistant. She also knew a little about medicine, as her brother-in-law was a doctor. 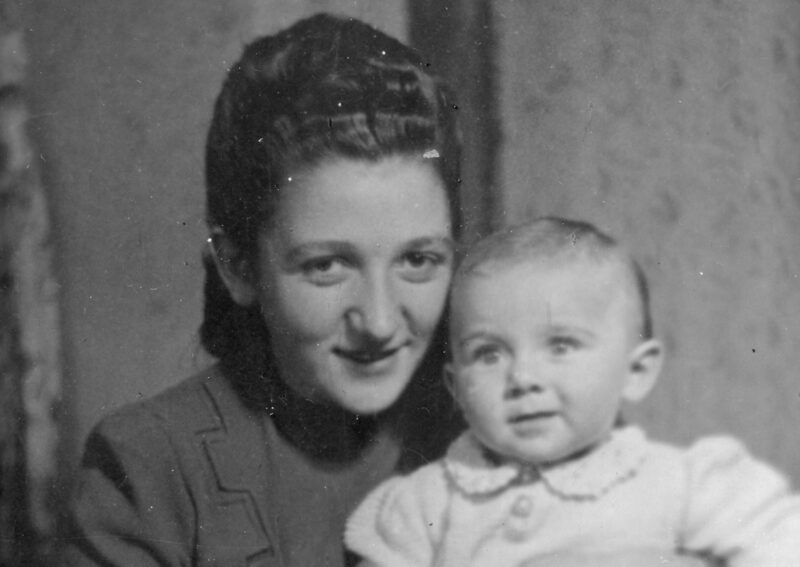 When the Nazis invaded in 1941, they forced the town’s 1,800 Jews into a ghetto — except for six “useful Jews.” Among them: a tailor, a carpenter and a photographer. Schulman was recruited to take pictures for the Nazis (her brother had already fled town). She would snap headshots of Nazi officials and portraits of their mistresses. One day, she developed a photograph that was clearly a mass grave of Jews who had been killed. Peering closely at the print, she recognized her own family. She hid the negative in a box of photo paper to assure it would remain safe and unseen. She vowed vengeance and sought justice in the forest with a group of Russians — mostly men and overwhelmingly non-Jews — she’d met up with when they raided Lenin for supplies. She begged them to take her along. They were doubtful of her worth; what good was a woman? But she promised she could serve as a doctor’s assistant, and they accepted her into the group. She recovered her photography equipment during a subsequent raid on Lenin. Schulman hid her Jewish identity. During Passover, she ate only potatoes, never explaining why. She made sure her fellow partisans remained healthy through the harshness of winter, and tended to their periodic battle wounds. She made her own stop bath and fixer, and buried bottles of the solutions in holes in the ground, retrieving them when needed. For two years, she lived in the forest and documented life there. She would make “sun prints” by putting the negative next to photographic paper and holding it toward the sun. She’d then give them to fellow resistance fighters. “They treasured their pictures and respected me for it,” she said. The traveling photo exhibit at Berkeley Hillel represents only a fraction of the pictures and negatives Schulman created. She married after the war. She and her husband, Morris, could take very little with them to the displaced persons camp in Germany. Though she had very few belongings after two years in the forest, Schulman possessed many, many photos and negatives. She selected only her favorite prints and negatives to take with her to the DP camp, where she spent three years. She brought those with her to Canada. In the exhibit, each photo is paired with a lengthy explanation of the image. The text is in Schulman’s own words, recorded during an interview Braff conducted with her in her Toronto home in 2005. She also wrote a book chronicling her story. 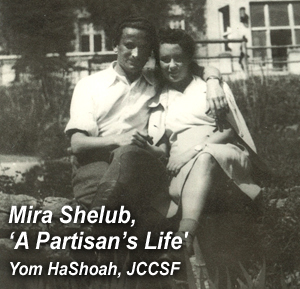 “A Partisan’s Memoir: Woman of the Holocaust” was published in 1995. “I want people to know there was resistance,” Faye said during that interview, the text of which is displayed with the photo exhibit. Dave Glass, a freelance documentary photographer in San Francisco, viewed the exhibit during the opening reception March 3. The son of Holocaust survivors, he was astounded the photos existed. Glass was so enamored by Schulman’s photos that he plans to go back and view the exhibit again. 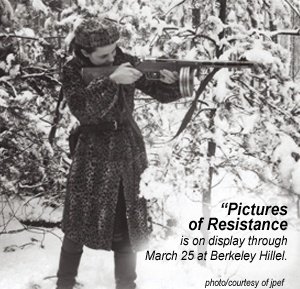 “Pictures of Resistance” is on display through March 25 at Berkeley Hillel, 2736 Bancroft Way, Berkeley. 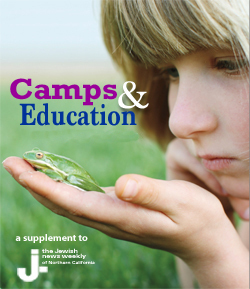 For exhibit hours, contact Lehrhaus Judaica at (510) 845-6420.